Because Arlington is located centrally between Dallas and Fort Worth in Tarrant County, this area has 5 ArlingtonVA Realtors available. With a civilian population of almost 375,000, there is a veteran population of almost 23,000. Your Texas VA home loan is available if you qualify. USVA Realty is in the business of helping veterans find homes. Of course, one of the main things a veteran needs is a VA home loan. If you haven’t applied yet for your VA mortgage, don’t worry! We have a network of VA approved lenders standing by to help you get started. Just press the “Get Started” button on this page, send us your information and we will contact you and help you get the ball rolling. It’s easier than you think to get started, it only takes about 2 minutes. Our Arlington military Realtors have access to all houses listed in the Arlington MLS. 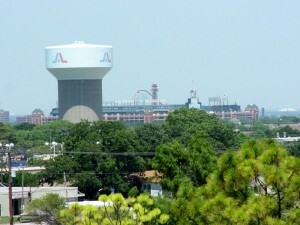 We cover all of Arlington and its Surrounding areas. 70% of our buyers in Tarrant County area are first time home buyers so we are very experienced in answering all of your first time home buyer questions. Let USVA Realty go to work for you in Arlington today!